To supply freshly overhauled Lycoming O-360-A1AD engine on an exchange basis for a TB10. Connecting Rod Nuts & Bolts. External Finish – Grey colour. Warranty on overhauled exchanged engines is 24 months or 1000 hours (whichever occurs first) on labour with parts as warranted by individual manufacturers*. Warranty is 100hrs or 6 months (whichever occurs first) on Norvic Aero Engines labour with parts as warranted by individual manufacturers. Externally sourced accessories are warranted in accordance with manufacturer and sellers terms & conditions*. The above ready to go engine will be dynamometer tested and released to service by the issue of an EASA FORM 1 or Dual Release I.A.W EASA PART 145 Approval Ref – UK.145.01182 & FAA Approval 33NY343C – Please specify Release type. Payment terms to be discussed. Currently in stock, availability within 5 – 7 days subject to receipt of order and payment. FREE collection and delivery in UK. However, we can arrange to get a competitive quote if you are outside the UK. The customer’s return core engine must be suitable for overhaul. Additional charges, if any, will be advised after strip examination. P.S: – The above ready to go engine will not include airframe items such as mount bushings (Lord Mounts, Barry Mounts) airframe-to-engine fluid hoses, propeller governor, vac pump, alternator, oil cooler etc. “Unless additionally specified by the customer, which would then be at extra cost”. Our offer is valid for 30 days from the above date, however, we can extend it upon request. 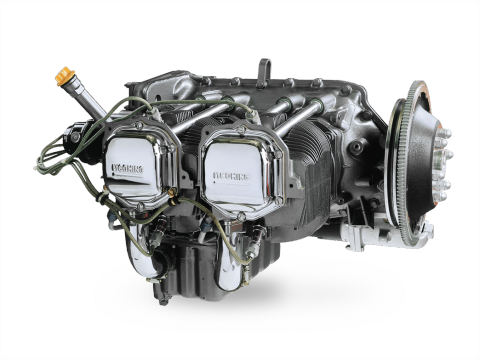 To supply freshly overhauled Lycoming IO-360-L2A engine on exchange basis for a Cessna 172 R/S. Overhauled/Exchanged Fuel Servo and Flow Divider. Availability within 5 to 7 days subject receipt of order and payment. Collection and delivery FOC in UK. However, we can arrange to get a competitive quote if you are outside the UK. NOTES: The customer’s return core engine must be suitable for overhaul. Additional charges, if any, will be advised after strip examination.